This was a quick creation I came up with for a student who loves cars. I had lots of clear plastic CD’s and decided to use them for wheels, the gold rubber band came from a cake box and we had lots of them. The body is cardboard and popsicle sticks and the axles are pencils in straws. They go really well on a flat surface and we raced them across his room. I liked the car very much and I would like to make it as part of my school project…. can u please tell me the procedure to build it and how does it work? please mail me as soon as possible…. Hi could you please email me the instructions for the rubberband car. I too would really appreciate if you could email me instructions for the “rubber band powered car”. As soon as possible, my daughter has a school project this would be perfect for. Could you email me the instructions on how to make this ………..I want to use this for a project that is due in 2 DAYS!!!!!!!!! Sent right away, hope you made it in time!!!!!!!!! 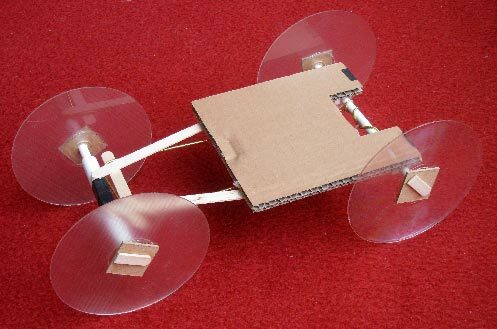 Can you e mail me the instructions for the “Rubber band powered car”? My daughter and son want to make one. Did you get the instructions for this car? I need to get them asap! Hi, i was wondering If you could email me the instructions for the rubber band powered cared because I that it was cooling looking. It look wonderful. My three year old would love it. Can you please email me the instructions. Thank you. Looks like a wonderful project for any little guy. Would you please e-mail me the instructions? Thanks. It looks wonderful. 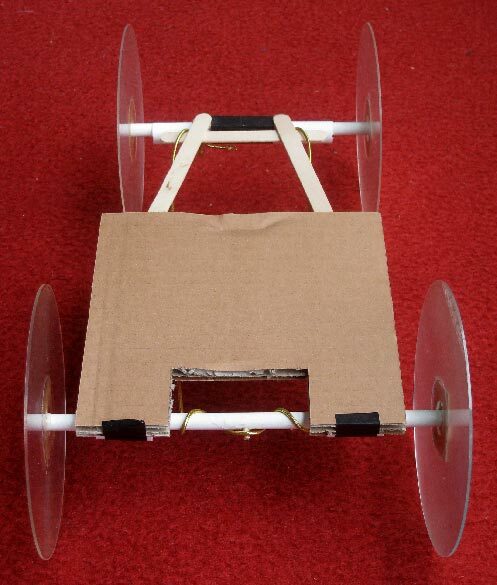 Can you please send me the instruction for rubber band powered car. My son would love it. This looks great! I would also like further instructions if you have them – my daughter needs to make one for her science class. Can u send me the procedure for making this car?? Hi, my son loves this project and your boat one! If you have instructions for these two he would be excited to make them! You are very creative!! I hope everyone received the instructions for this car and had lots of fun making it. This rubberband car project is what my son and a friend are doing for a Science Fair on energy. I see lots of people asking for instructions on this site, but wondering if you put them up on a different site because I only see the pics here. I see you did this a couple of years ago, but would you be able to send them to me? Thanks. Hi there could you please email me the instructions for this it looks excellent. would you be able to send me the instructinos to this at all please? it looks totally amazing! This would be perfect for my Elementary art class. If you can send me the instructions that would be great! Hello, could you please email me instructions. hi, really simple and cool. could you email the instructions to make this car? I need it badly for my school project. Maybe you should just post the instructions online…but if not could you PLEASE email them to me too? hello! could I have instructions too!!! Looks brilliant! Could I get the instructions please? Need it for my classroom project. Can you send me an e-mail for instructions? I have a school project. Could you please send the instructions to tmmeseve@aol.com — we’re trying to complete this today and are having problems just following the pictures. Thanks for your help! Could you send me the instructions asap. could you email me your instructions? the project looks great! hey could you send me the instructions? the project looks great! Would love the instructions for this please. I NEED THIS RL BADLY! tell lme the instructions plz..
please hurry and give me instruction ]my project is overdue and i NEED IT =[ plz hurry! Sounds like a great project! Could I get the instructions for an education week project please? Looks great! Would you mind e-mailing me the instructions too? Thanks so much! Hello DIY Dad, I would be so grateful if you could provide me with a materials list and a set of instructions for the DIY car! It looks like a lot of fun to build and to play with. Thanks so much! Hi could you please send me the instructions to make this? Can you send me the instructions, please? can you send me a instructions, I would be so fantastic, please……..
Would love to do this with my students… would you mind e-mailing the directions? Oh please please can you email me the directions to your rubber band car…thank you!! Hi, could you also email me the instructions for making this? It would be greatly appreciated. This is awesome, my son has a project due in 2 days could you please email me instructions. 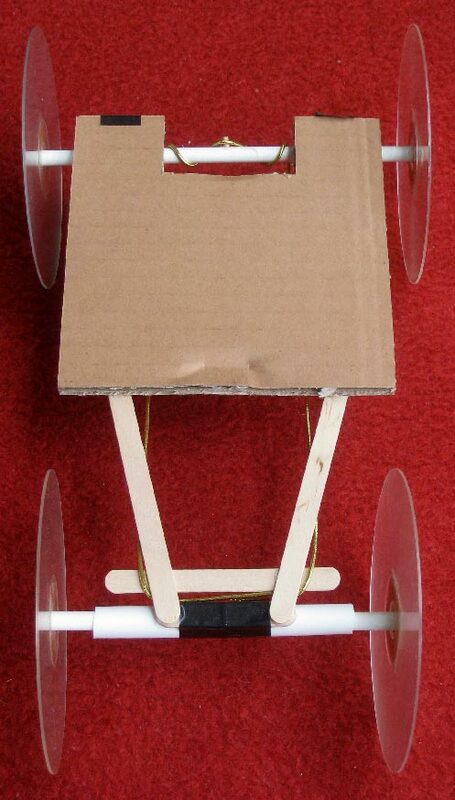 Can you please email me the instructions of how to make the rubber band powered car ASAP. I need them to complete a school project that’s due soon. Thanks! Could you send me the procedure? I’d like to do this as my project for school. It’s due in two days. Thank you! I was wondering how far this car would actually go, and if you could email me the instructions that would be nice, thanks! Hi, could you email me the instructions as well? It would be greatly appreciated. Can you please email directions? or post them? Hello Im sorry to bother you, but i have a physics projectile project due on monday the 12th and i would really appreciate it if you could send me the steps and procedures in order to build this car. Its not that i cant do it myself its just that it seems all my ideas wont work because i haven’t had much time to go into great detail into this project. Please and thank you! Dear sir this is wonderful work from you. My son and myself liked it can you please send complete procedure for making this car. Hey can you e-mail me the instructions for this car please? Thank you. Could u please send me instructions and materials so i can use this great design for a school project thx! this car is the one i need for our school project. can you e-mail me the instructions. Hi I am trying to make the car for my school prodject that is dew tomarrow an was having a little bit of trouble. Please e-mail me the instructions. This is perfect for my school prodject please email me the instructions! Please email me the instructions I need them ASAP!!! That looks cool. Where do I find instructions to build it? Can you please send me the instructions? Urgent! I’d love a copy of the instructions too, please! My daughter has a project and your car would be perfect for it. could you please send me the instructions. I would greatly appreciate it. Thank you! on 06/02/2013 at 07:28 | Reply Rick P.
hi could you email me the instructions on how to build one. thank you very much. Please email the instructions for the boat and the car. Please please email me the instructions. I’m traveling and my son is freaking as he has to do it NOW… please?!! Would you please email me the directions and parts list to build this car? I would also love the instructions for my science class. This looks like fun! Thank you. Can you email me instructions? Hi, this looks great and I was wondering if you could send me the instructions? Much appreciated, thanks. I would love to have the instructions. Thank you. Can you send me the instructions? Thanks!